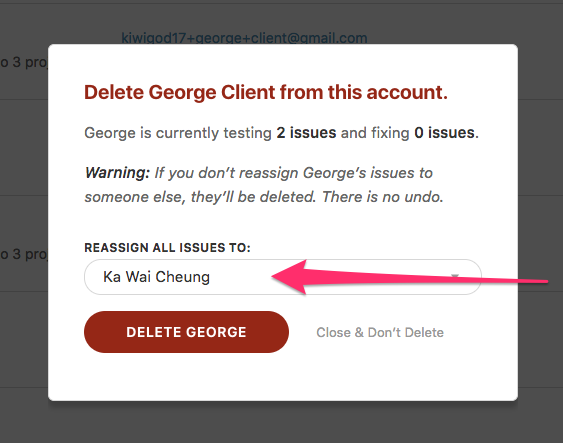 As an account admin or the owner, you can update or delete a person from your account. 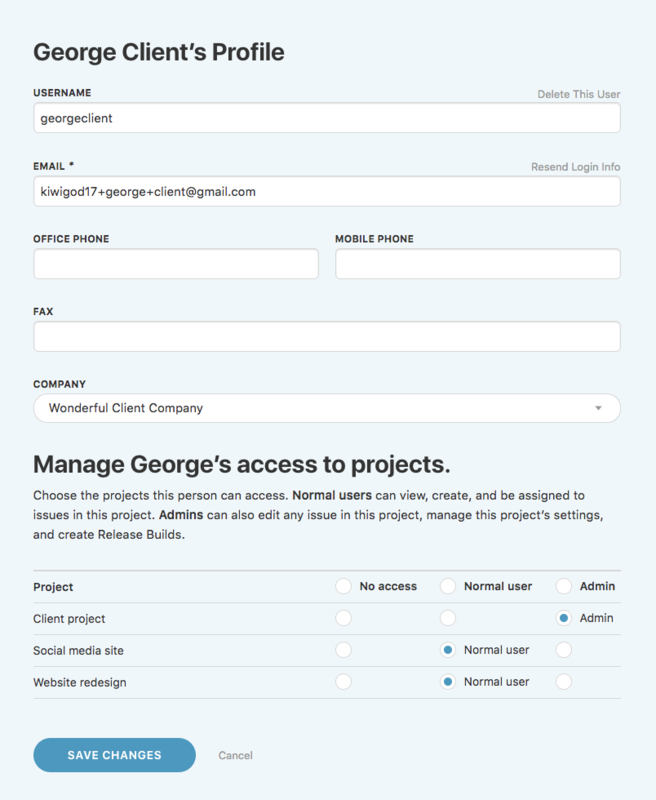 You can update a person's account email address, phone and fax information, company, and project access. However, you cannot edit a person's name, profile email address, or username. Only they can do so by signing in and editing their profile. Find the person you'd like to delete or update. 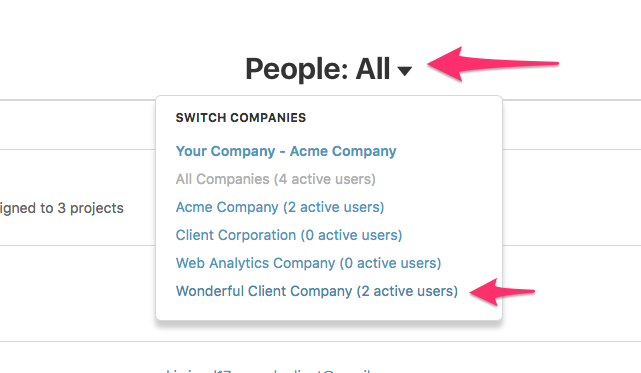 If you have a lot of people in your account, you may want to select their company first. If you want to delete the person, click the Delete button on the far-right. If the person was assigned any issues, you can choose to move them over to another person or delete those issues as well. If you move issues to another person, they will assume the same role on those issues as the person being deleted. If you want to update the person, click the Edit button on the right. Edit the person's profile and click the Save Changes button to finish.